What is Cape Town's "Day Zero"? Cape Town is experiencing its worst drought in a century, which has dragged on for three years. A complex system of reservoirs, currently the city’s only significant water source, depends on rainwater and has been steadily drained. City leadership recently pushed back the expected date of Day Zero, when the city will shut off water to all but a few centralized collection points, to May 11, 2018. Cape Town has been attempting to diversify its water sources for years—building desalination plants, pumping more groundwater, and exploring re-use systems—but these are unlikely to be completed in time to prevent Day Zero. In an attempt to delay Day Zero, the city has implemented water restrictions asking residents to limit their personal use to 50 liters per day, the amount the United Nations and World Health Organization say is necessary to meet basic human needs. If Day Zero is reached, water will be rationed at 25 liters per person per day via centralized collection points. The average American uses between 300-400 liters per day. The Western Cape Water Supply System has already curtailed water deliveries to farmers, putting their harvests at risk. Permanent damage to vineyards and tea farms will likely have long term negative impacts on the regional economy. Cape Town has been recognized, historically, for its “green” initiatives, but they have not been sufficient to protect the city from this drought. Experts agree that climate change is making the region dryer, prolonging droughts. Many of Cape Town’s residents have turned to drilling unregulated groundwater wells, further reducing long-term water availability. Also contributing to the crisis, Cape Town’s population has grown nearly 80 percent in the last 23 years, and urban residents consume more water per capita than rural residents. The Western Cape Government and the City of Cape Town blame the national government for failing to support their drought preparation efforts, and for over-allocating water to agricultural users. With Day Zero increasingly believed to be inevitable, there is growing worry about civil unrest, migration out of the city, permanent damage to infrastructure, and outbreaks of disease from poor sanitation. The city’s disaster plan calls for strategically providing water to critical services, like hospitals, and areas at the highest risk for disease outbreaks. Non-potable water will keep sewers functioning, and the South African military will work with local police to maintain order at collection points. Cape Town adds to a worrying trend in which climate change and population growth overwhelm a city’s ability to provide adequate safe water to its residents. 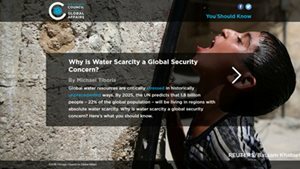 Rapid urbanization and population growth are occurring in many of the world’s most water scarce regions. Building adequate water infrastructure to accommodate them is a long-term and expensive proposition. As Cape Town’s crisis demonstrates, cities must prepare far in advance for water scarcity by diversifying water sources, assuming water availability will be inconsistent, and helping citizens reduce their water demands. 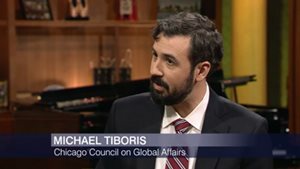 Learn more about the challenge of water scarcity and how cities are responding at thechicagocouncil.org/globalcities.